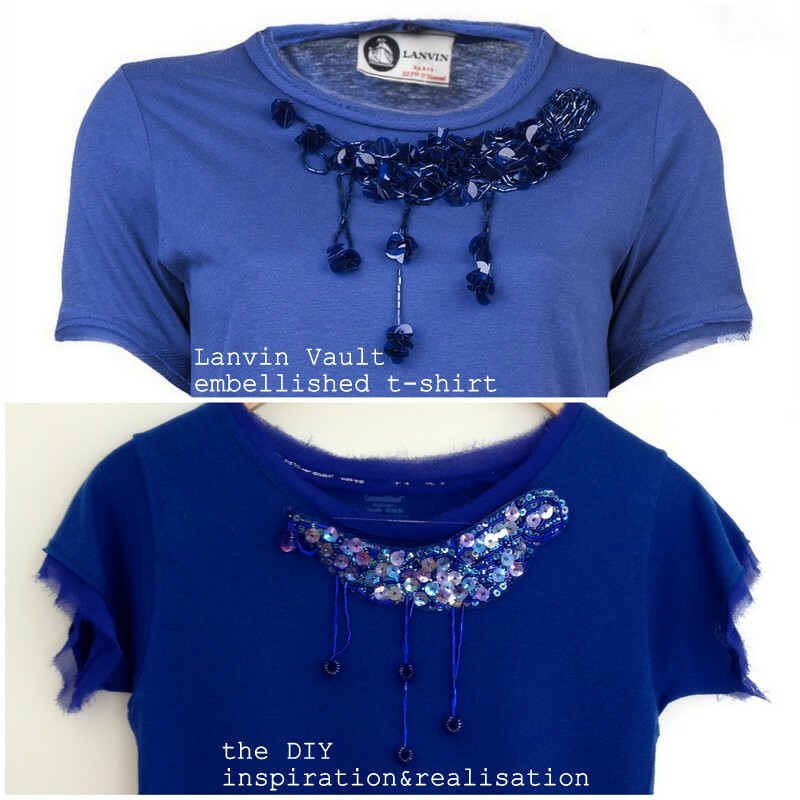 Love the Lanvin Vault embellished t-shirt? Get the look without breaking the bank! 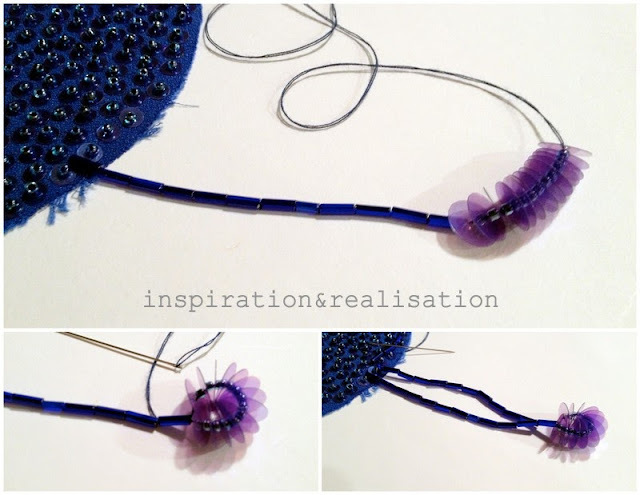 Just a little patience, sequins and beads. I did the same last year with my red silk corsage t-shirt . start sewing the small sequins one by one with one bead on the top, and do this "ground-cover"
all over the base fabrics - there's no pattern, so it won't take as much as you'd think. till reaching the sequined fabric, then secure onto the fabric with a double knot. 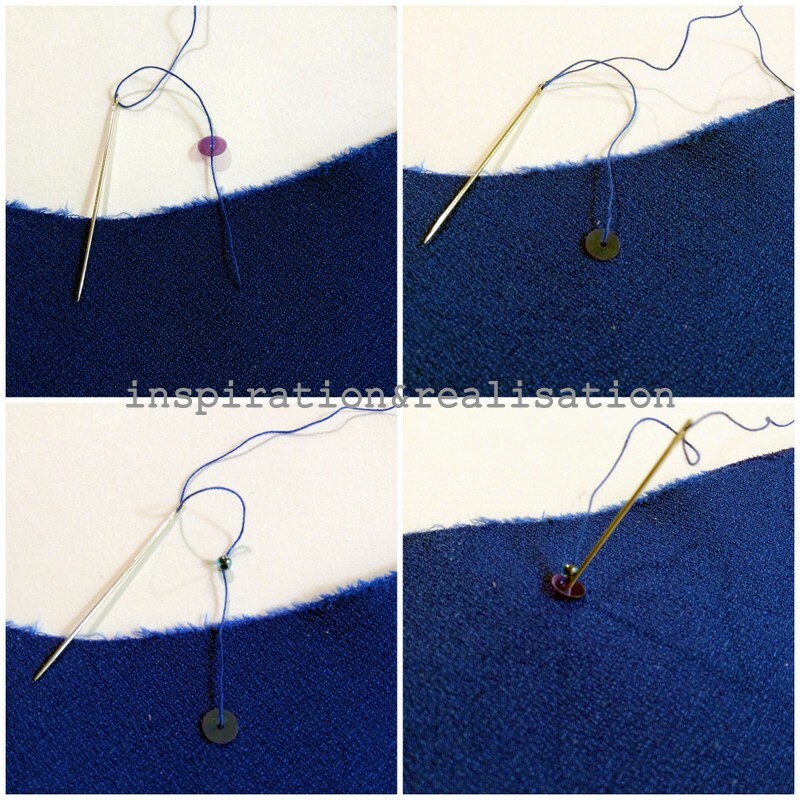 Repeat in three / four parts of the embellishment with different lengths. keeping the settings of the iron medium so you won't melt the sequins. or use your new brooch to give some spark to a jacket lapel! 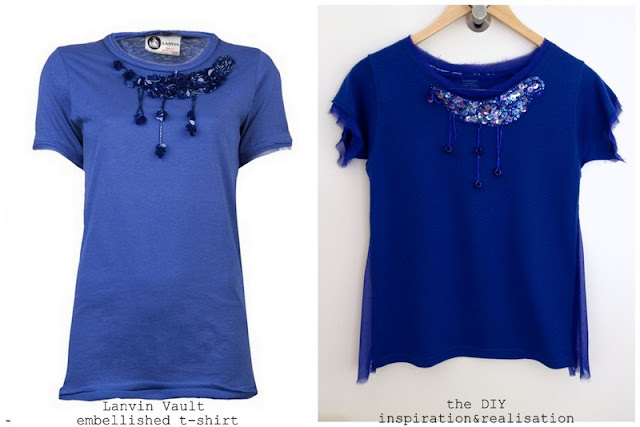 Great DIY. You always have very good ideas. This is EXCACTLY why I love your blog! Genius!